The Orion is a car that is often overlooked when considering customizing, and as such stands out that little bit more when done well. The The car below, is not going to be completely outrageous, but will go from the completely standard car pictured here, to something a bit special. 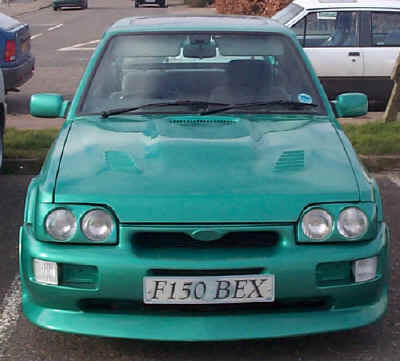 Our new RS Turbo style bodykit, will be fitted along with our own Mirage Cosworth Front and Rear Bumpers, Twin Headlight conversion, rear screen aerofoil, and EVO boot spoiler, M3 mirrors, and various shaving and smoothing. 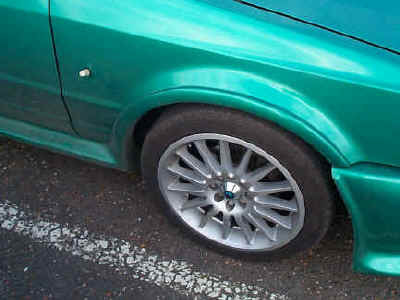 When this is combined with a Metallic Green repaint the car should look pretty good. The standard 1.6 engine will stay for the moment, until the customers insurance is a bit lower, when he intends to fit an RS Turbo unit. The interior which already features a loud ICE install will be attended to with at the very least different seats. The first stage is to conduct a Trial fit of the products being used, so that the inevitable adjustments, and minor trimming to fit may be done. 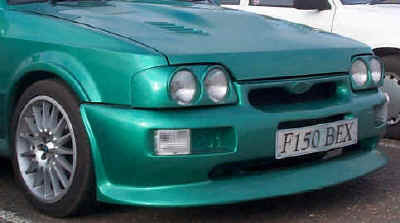 In this case the RS Turbo style Bodykit (Orion variant), is fitted. The Orion kit is 10 pieces including sections to be fitted to the doors. This kit fits well but is designated as advanced fit as it does take some time to get it looking right, especially given the number of bits that have to line up. 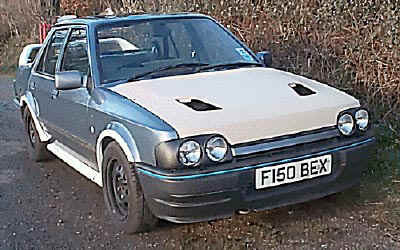 The new bonnet, and headlights can be seen here. Once painted the car looks very different. 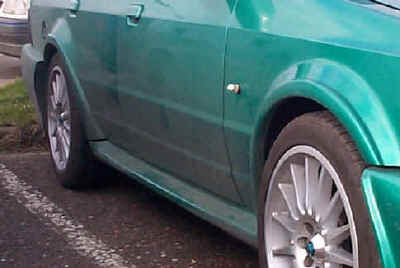 The colour is VW Montana green and seems to suit the car very well. The bonnet vents have been blended in as requested by the customer, but they do not have to be if you don't want, and blending them in is considerably more work. 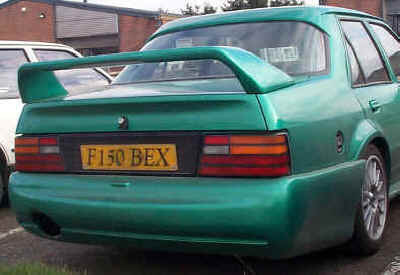 All parts used for this car are available from Autofashion.